A decline in excess body weight and insulin production is believed to protect against breast cancer. In fact, that was the primary focus of the above referenced study. These findings are further bolstered by a current trial which revealed that breast cancer survivors with the greatest intake of starchy carbohydrates have an increased risk of breast cancer recurrence. High glycemic, starchy foods tend to raise insulin and promote weight gain. There have also been a few recent inquiries into the validity of intermittent fasting outside of the arena of cancer prevention. Each examination has resulted in positive findings with regard to other important health threats, including heart disease. 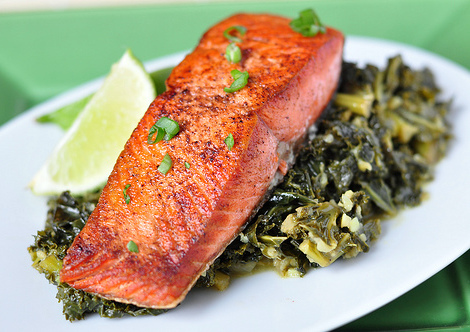 A dietary intervention known as “alternate day modified fasting” or ADMF, which requires that you eat normally on one day and then restrict calories to 25% of normal the next day and so on, has been shown to: a) increase LDL cholesterol particle size and, in so doing, protect arteries from plaque deposition that is associated with denser, smaller LDL particles; b) promote weight loss without unacceptable hunger on the modified fasting days (25% caloric intake). In addition, participants who engage in ADMF tend to remain as active on fasting days when compared to regular feed days (100% caloric intake). But, what really excites me about this research is the combination of intermittent fasting and low carbohydrate eating. I think this can be a tremendously potent pairing. For instance, low carbohydrate diets are known to impart specific cardiovascular benefits, such as decreasing the concentration of soluble cell adhesion molecules which promote hardening of the arteries. If you factor in the other benefits described earlier in today’s column, the overall impact of such a diet plan appears extremely promising for anyone seeking nutritional protection against breast cancer, heart disease and obesity. What an interesting article! The more I do my own research, the more I am convinced it’s not as simple as calories in versus calories out. Thank you, Rebecca. I agree 100%. Calories matter. But, they’re only one piece of the puzzle. I agree, Rob. It’s the cornerstone of my own diet. But, I also think there’s something rather unique about intermittent fasting. I believe it speaks to the traditional eating pattern of most people … rather than the conventional three meals/day + snacks routine. Repeat after me: All carbs turn into sugar. I believe in losing weight, it’s 90% diet, 10% exercise….or right around that. And in losing weight, eating less and less carbs is the key! BACKGROUND AND AIMS: Very-low carbohydrate diets can improve glycaemic control in patients with type 2 diabetes (T2DM). 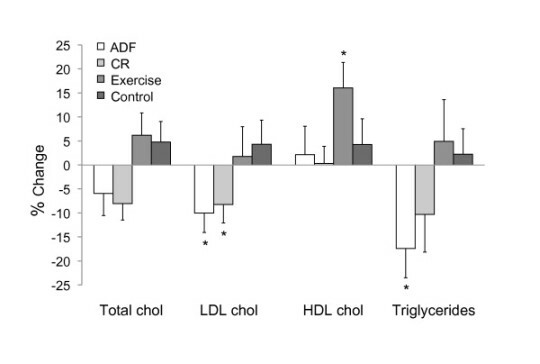 However, compared to traditional higher carbohydrate, low fat (HighCHO) diets, they have been associated with impaired endothelial function (measured by flow mediated dilatation [FMD]) that is possibly related to saturated fat. This study aimed to examine the effects of a 12-month hypocaloric very-low carbohydrate, low saturated fat (LowCHO) diet compared to an isocaloric HighCHO diet. METHODS: One hundred and fifteen obese patients with T2DM (age:58.4 ± 0.7 [SEM] yr, BMI:34.6 ± 0.4 kg/m2, HbA1c:7.33 [56.3 mmol/mol] ± 0.10%) were randomised to consume an energy restricted LowCHO diet (Carb:Pro:Fat:Sat-Fat 14:28:58: < 10% energy; n = 58) or isocaloric HighCHO diet (53:17:30: < 10%; n = 57) whilst undertaking exercise (60 min, 3/wk). Bodyweight, HbA1c and FMD were assessed. RESULTS: Seventy eight participants completed the intervention (LowCHO = 41, HighCHO = 37). Both groups experienced similar reductions in weight and HbA1c (-10.6 ± 0.7 kg, -1.05 ± 0.10%; p < 0.001 time, p ≥ 0.48 time × diet). FMD did not change (p = 0.11 time, p = 0.20 time × diet). CONCLUSIONS: In patients with obesity and T2DM, HighCHO diet and LowCHO diet have similar effects on endothelial function.